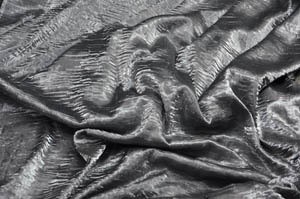 Order the best Quality Iridescent Crush Tablecloths in beautiful Platinum Color. Iridescent Crush Shimmer is also Manufactured into a Chiavari Chair Cap and Chiavari Chair Jacket! Would you Rather see a Sample Swatch first? Click Here! We always suggest making sure the color is appropriate for your event in mind before placing large orders!